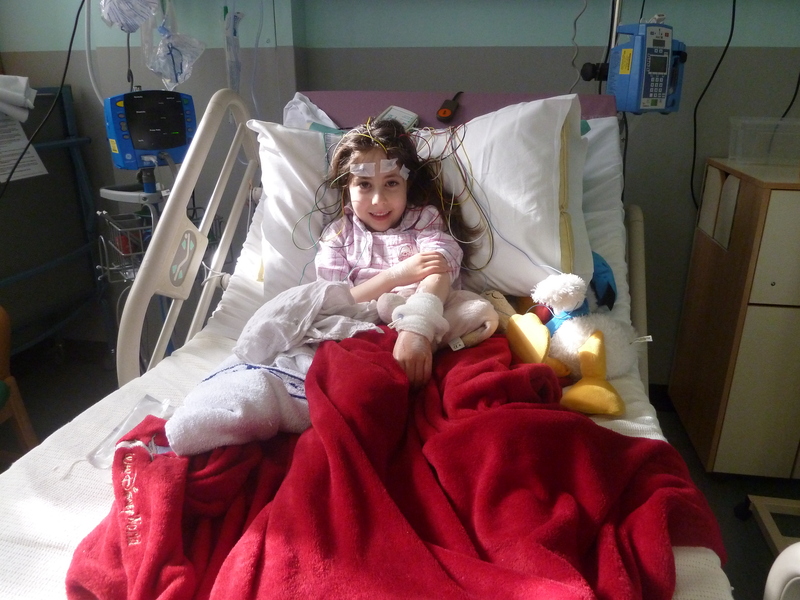 I had never heard of Encephalitis prior to my daughter Eden suffering from this tragic illness. Many, many people haven’t. That’s one of our main aims: To raise the awareness so people know more about it, just as everybody is now aware of other life threatening childhood illnesses such as meningitis. It was March 2nd 2011. Eden was 6 and a half years old. That day she was a little bit off colour, a little bit poorly, but I didn’t think much about it. She had been like this for a couple of days and I decided to keep her off school that day just in case. She had been complaining that her legs had been aching a little and the odd headache but nothing that I thought was debilitating. We were lying on the settee after dropping her older brother, Oscar, off at school. We were just about to start watching Barbie the Movie, as you do! Suddenly, Eden went very stiff and had a massive seizure. I could see in her eyes just how terrified she was. Then she fell completely unconscious. I phoned the ambulance. They were brilliant and the ambulance came within minutes, thank goodness. We were taken straight to Sheffield’s children’s hospital. We were in the resuscitation area for the whole day and night while the medical team were just trying to work out what it was that had happened to Eden. They tried lots and lots of different tests. Eden was still unconscious and nobody really knew quite what to do. But then a well-informed Doctor thought to start her on some very specific medication that sufferers of Encephalitis need to fight it. He started her on that but also continued with lots of other medications because they weren’t sure at first whether it was meningitis or what it was. After what seemed like eternity, Eden regained consciousness and initially she couldn’t see, hear or speak at all. She was hallucinating and didn’t know who anybody was. It was horrific for Eden and us. Eventually the medical team managed to stabilise her condition. But all she could say for the longest time was “Mmm”, then eventually “Mu mu mu”, then “mum”, then “mummy”, but she didn’t know who mummy was. She just knew who she wanted. So to her, everybody was Mummy. It was so very scary and for a long time we thought we’d lost her, to some degree we did, because the child that came out of her unconscious state was a completely different child. She didn’t know who Mummy was which I didn’t initially realise. Eden couldn’t see for a long time, so I just held her hands to my face, so we could connect & to reassure her. After almost a week her vision came back and over the following few days she started to recognise who Mummy was and then she slowly started to recognise who other people were. Oh what a relief. But I knew things were still very different…and would remain so. Little did I know that from this moment onwards, they would never be the same again. This was the start of the next stage. 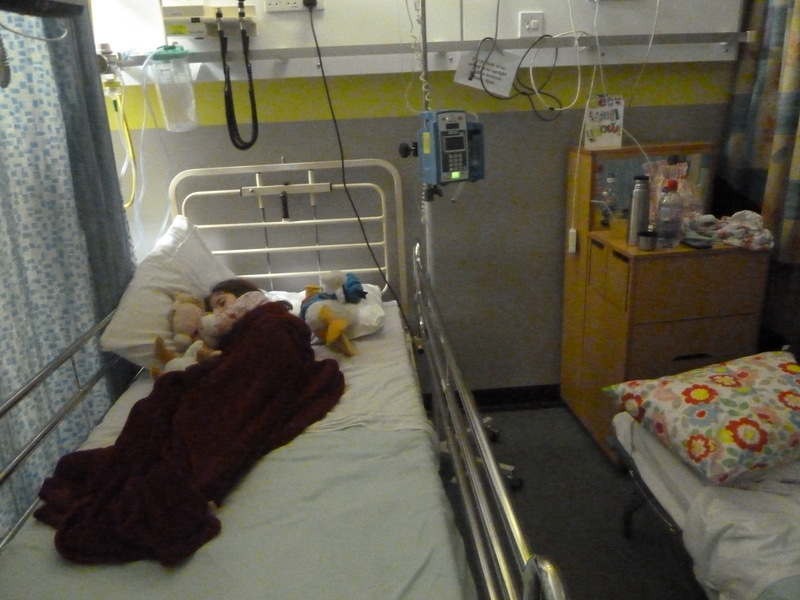 Eden was moved into her own room and then when she had recovered sufficiently she was moved to a small ward, were we started to re-teach her how to talk and how to walk. This was made all the harder as she continued to be on an intravenous drip of very strong anti viral and anti bacterial drugs. 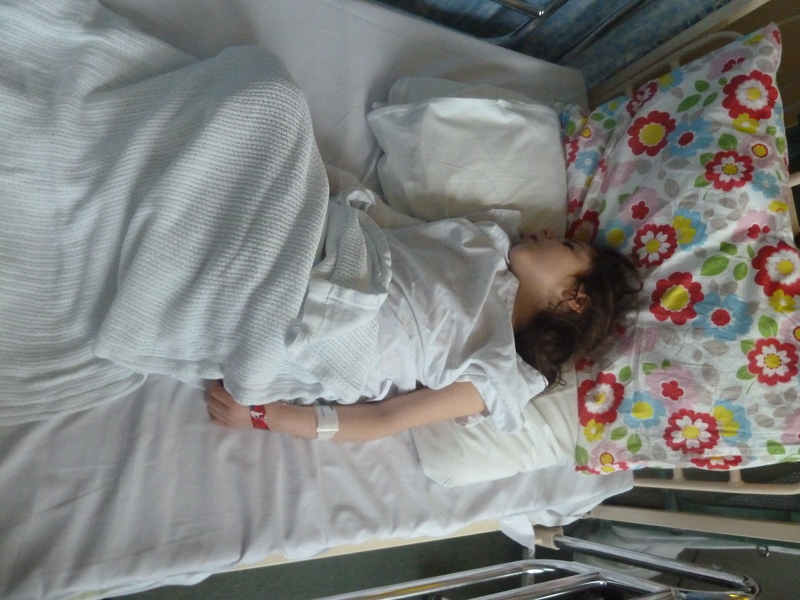 It was a particularly overwhelming time as there were so many tests (including a lumbar puncture) but the key was the EEG (Electroencephalography), also called the “Medusa” test which works out what was happening in her brain. All these tests continued for over 6 weeks. Our lives as we knew it were never going to be the same again, but I didn’t know that at the time. I knew Eden wasn’t the same but I didn’t really understand it yet. I didn’t really get it. I just hoped things would be OK after all the tests and that we would be released from the hospital. In hindsight, that was very naive of me. I wish there had been more information readily available to me. My husband Phil and I had separated a couple of years before this, and luckily we had remained friends. Phil came and lived back at the house to look after our son, Oscar, who was 10 years old. Oscar and I have been inseparable since he was born. Suddenly I disappeared because I was at the hospital 24-7 at Eden’s bedside. It was all very hard for Oscar as well as he himself didn’t understand what was going on, and was really scared. I remember one day, Phil and I arranged for me to come home for 24 hours and Oscar and I had some special time together. It meant so much. It was almost summer when we were released from hospital. But things were still not right. Eden had to have a very long time off school. We were so lucky to have Outreach teachers who came to the hospital, and after to our house, a couple of times a week and they really helped Eden. This is the time I started to grieve. There’s no other word for it. The child I gave birth to and raised for 6 and a half years was gone. I had a new little girl, and nobody could understand that feeling at all. It is such a difficult issue. Eden was thankfully still alive but is a completely different child. I have still got my child, in physical form, but I’ve got a different child emotionally, physiologically, behaviourally, intellectually and I wasn’t prepared for that. I don’t suppose you could ever be prepared for it. Nobody could. 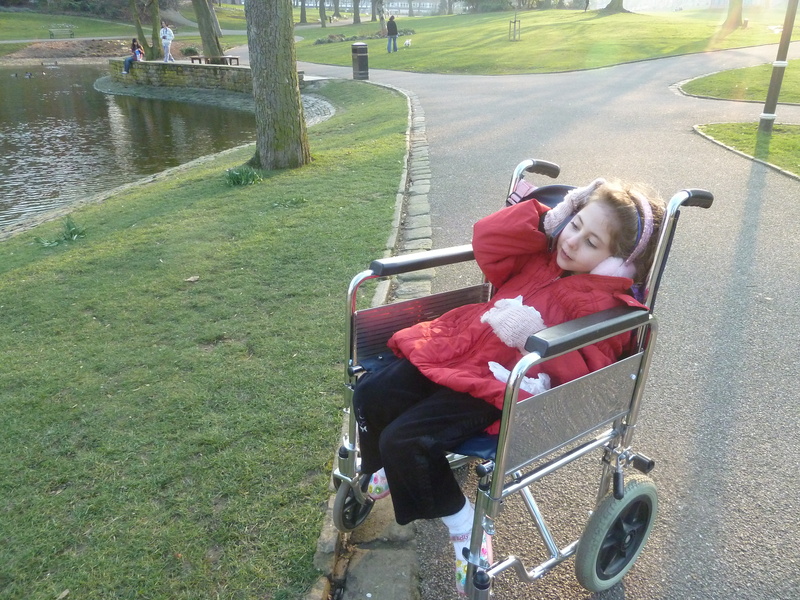 Eden has been left with an acquired brain injury (ABI), which is a hidden illness. Eden looks very much the same as she used to and nearly 3 years on one or two aspects of her personality are now as they used to be. But she is very different. 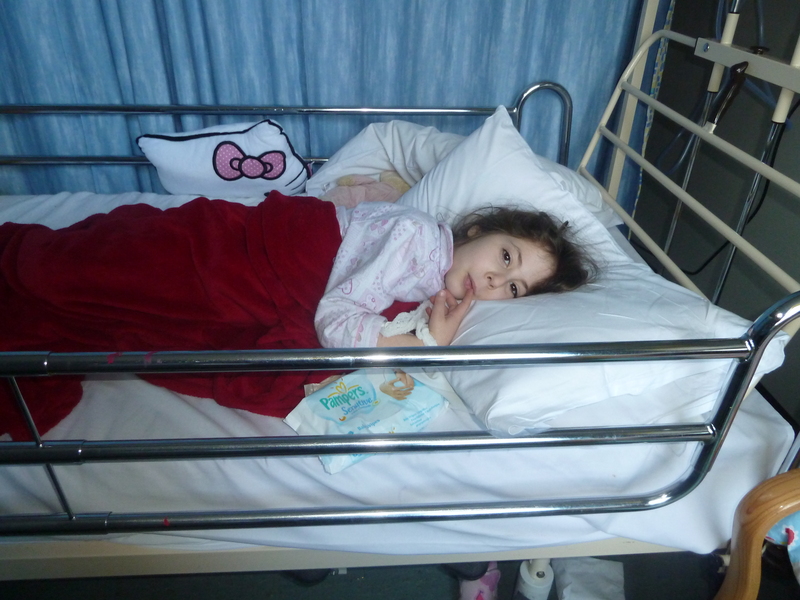 Eden lost over 2 and a half years of full time school and has a lot of other problems as a direct result of the ABI that she has been left with as a result of Encephalitis. Even now, she is not yet able to go back to school full-time. Eden is also very aware of her differences to her peers and to the person she was. It makes her very sad! As a result of those and many other feelings and an almost overwhelming sense of ‘feeling lost and isolated’ I knew I wanted to raise awareness of Encephalitis and ABI to help people encountering the same situation. To help them be more aware of what is happening and what help might be available, because when Eden was released from hospital there was no-one for me to turn to, nowhere for me to go, and no-one to help me try and begin to come to terms with the resulting ABI that Eden had been left with as a result of the Encephalitis. I had to do everything on my own. ABI is a minefield and it’s so difficult to deal with because nobody fully understands it. It is a hidden illness. To everyone she looks “normal”, but for Eden the simplest task is a huge challenge. What used to take her an hour, now takes at least a day. What used to take her a day, now takes her at least a week. Eden gets extremley mentally tired so quickly, and there are now somethings she can’t do at all, which is very sad for her. Getting through every single day is a mental struggle for Eden.